Standard european press. 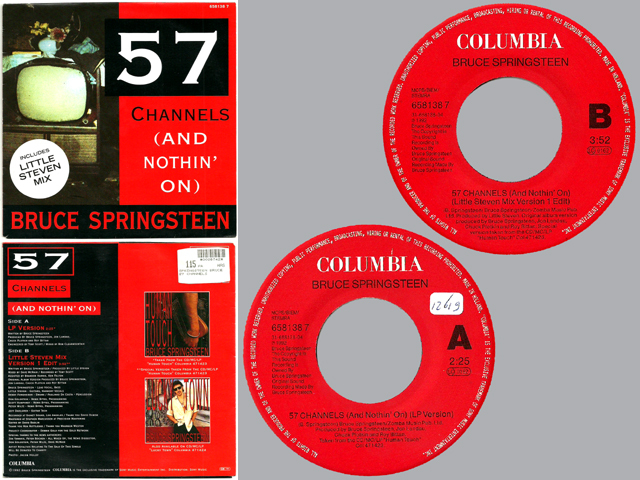 This release was issued with very similar packaging (minimal variations) and same catalogue number in every european country that is not individually reported as stand-alone release. The countries that did not press the vinyl by themselves imported it from Holland in most cases. This is the third type of cover for the Dutch press, with artist name written in the lower part of the sleeve and "Little Steven Mix" in a white spot.